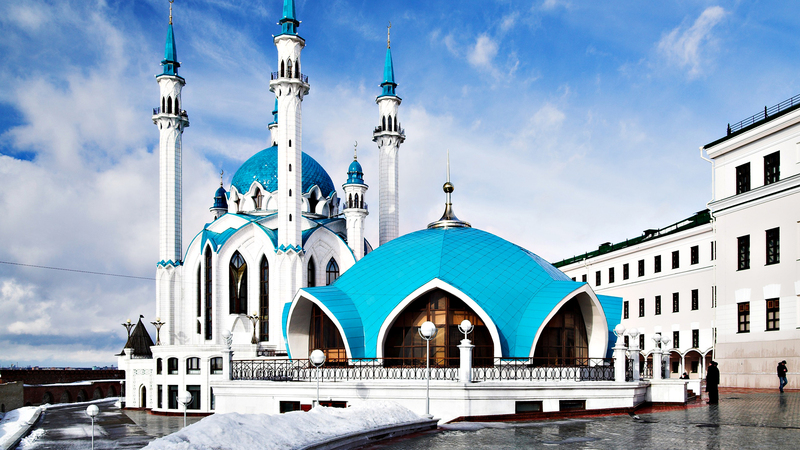 You can visit Kazan malls such, visit bowling clubs, restaurants, theatres, exhibitions, museums etc. 8 a.m.- 9 a.m. Breakfast in the hotel. Free time. 10 a.m. Meeting at the hotel. Leaving the hotel. You can leave your luggage in the luggage room of the hotel or take it with you. 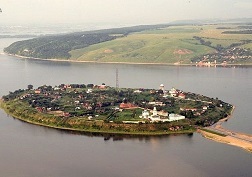 Sviyazhsk-Island located in the picturesque estuary of Sviyaga river on a hill «High Mountain». Abundant nature, surrounding shallow, waters of bays and islands attracted people since ancient times. Distance from Kazan quite small, up to the Volga, just over 30 km. 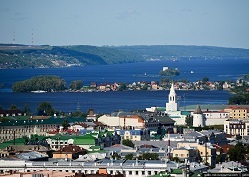 Sviyazhsk — it’s historical and cultural gem of the Republic of Tatarstan. The ancient fortress built in Medieval times during the reign of Ivan the Terrible, served as a military outpost in the Volga region and the place of rest and preparation of military units to march on the impregnable fortress of Kazan. After the capture of Kazan Island-hail continued to live and tell their memories of the best and most serious times. In this city, the spirit of the history and life is felt in every monument, street, back alley. 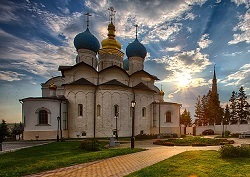 The tour route includes a unique historical monuments: the Cathedral of Holy Virgin, one of the oldest wooden churches of Russia — the Church of the Holy Trinity, the current Assumption Monastery with its 17th century architectural monument, the Museum of Sviyazhsk, Stables and workshops, a walk through the county Sviyazhsk.